The International Volleyball Federation has made a change to the bikini rules in beach volleyball. In a nod to Muslim countries, the uniform requirements have expanded to include short-shorts and long-sleeve shirts. 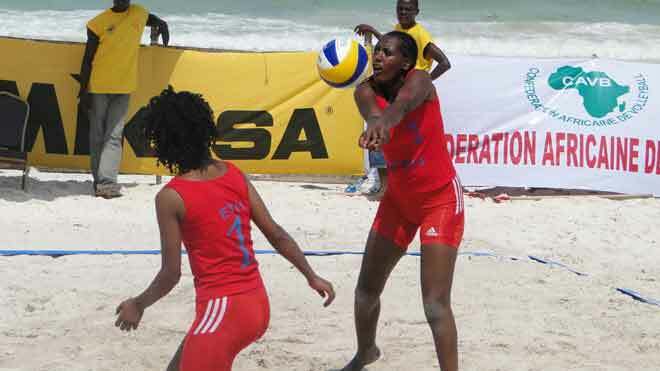 Lausanne, Switzerland – The FIVB Board of Administration approved a key change to women’s beach volleyball uniforms with immediate effect. The Board approved to apply the modified women’s uniform rule for all beach volleyball tournaments, including the Olympic Games. This is to respect the custom and/or religious beliefs. Previously there were two uniform choices for female players, a one-piece bathing suit or a bikini with a maximum side width of 7cm while full body suits could also be used under the bikini in cold weather. Now, there are three extra choices. Players can wear shorts of a maximum length of 3cm above the knee with sleeved or sleeveless tops or a full body suit.